Adding a new set of bath taps is a fantastic and affordable way to transform the appearance of your bathtub. 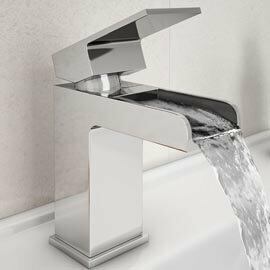 No matter what style of bath you have, your choice of bath tap will add a real element of style to it. There's so much choice with modern and traditional designs out there, but deciding which tap to go for is not always as easy as grabbing the one you like the look of. You also need to know some important bits of information before buying bath taps, which is why we've put together this handy guide to help buyers like you. 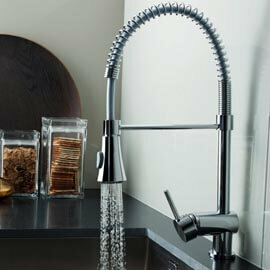 Bath taps come in many different shapes, sizes, styles and functions as well as serving different purposes. We've listed the most common taps below to give you an idea of what type you'll need for your bath or style. 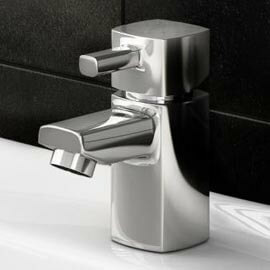 Once you have a style in mind you can then opt between bath mixer taps and bath filler taps. 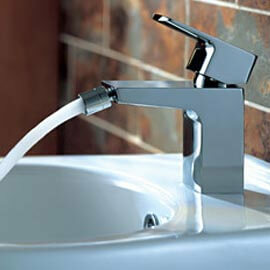 Deck mounted bath taps:These taps are your regular type of bath tap and are mounted onto the edge of the bath itself. They're usually placed at one end of the bath but If you have a double ended bath these are usually mounted in the middle so no one has to deal with the dreaded tap end; if two people are bathing. 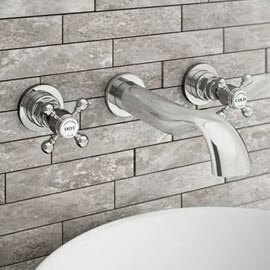 Wall mounted bath taps:Positioned on a wall just above the bathtub, these bath taps create an elegant and luxurious feature. They are ideal if you don't want to drill into your bath to fit the taps and they are great for concealing pipework for a flush fitment and tidier appearance. Bath shower mixer taps:Combining a shower handset with taps, these items feature a handy cradle which houses the shower kit and diverter just above the taps. Not only practical, they also add a stunning look and there are plenty of options available for both contemporary and traditional bathroom settings. 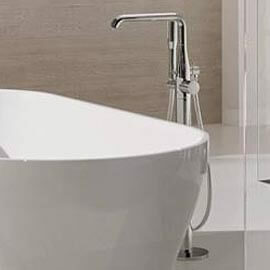 Freestanding bath taps:For a more luxurious feel, pairing freestanding taps to your bath will completely transform the look of your bathroom creating an unforgettable look. Freestanding bath taps are placed next to the bath and are supported by stunning chrome stands which boast a designer look. Many of these feature bath shower mixers, producing a complete luxury bathing solution. 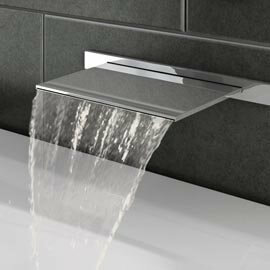 What is a bath filler tap? 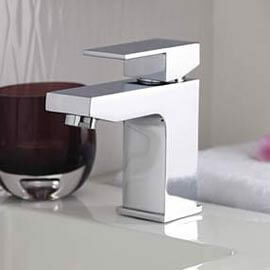 Bath filler taps, also known as a bath filler, is quite simply another word for a bath tap. These are what you'll typically find when searching for bath taps and a very popular choice. What is a bath mixer tap? 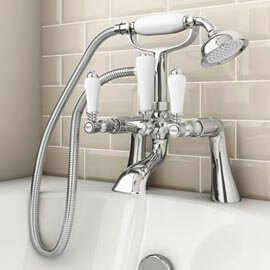 Bath mixer taps take both a hot and cold feed and mix it into one single flow. A bath shower mixer as this is sometimes confused with allows you to switch between bath taps and shower head for dual functionality. Are they easy to install myself? They are, but only if you know what you're doing and have previous experience with this sort of thing. Otherwise it's probably a job best left to the professionals. Before beginning, remember to turn your water supply off to avoid any potential flooding disasters. Once this is done then you need to remove your old taps. This can be surprisingly tricky if you're not familiar with plumbing which is why it may be best to leave it to someone who is qualified. 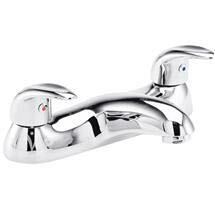 The new bath taps then fit into the tap holes and are secured with a washer and nut which form a watertight seal. Once the taps are secure it's time to turn the water supply back on and test for leaks. If there are no signs of leakage then you're good to go! What bath taps are suitable for my plumbing system? To establish which taps you'll need, you need to check how much water pressure you have in your home. This can be done using a pressure gauge for an accurate reading. Then all you need to do is look at the minimum water pressure rating for each bath tap (listed under the product descriptions on our site) and make sure they are suitable for your system.